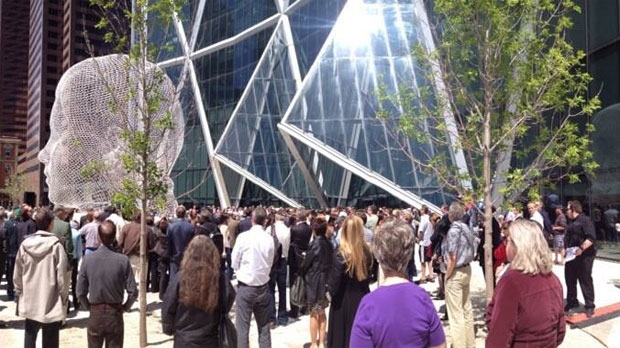 The Bow, the largest office building on Calgary’s skyline and tallest building west of Toronto, was officially opened on Tuesday afternoon in a lavish ceremony. The festivities started at 7:00 a.m., with a visual presentation on big screens that were set up outside the building. The official opening ceremony got underway at 1:00 p.m. with a performance by First Nations drummers. An hour later, a fireworks show kicked off a tour of the building for registered guests who were able to take a look at all the building has to offer. Construction on The Bow began on June 13, 2007 and cost $1.4B. 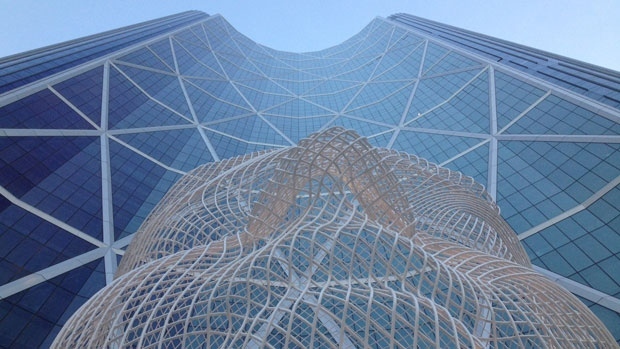 The Bow Building was ranked in the top ten architectural projects of 2012 and is 58 floors high. The building will house the main headquarters for oil giants Encana and Cenovus, among many other companies. The Bow is expected to be joined by two other skyscrapers by the end of 2015; the 41-floor, 177 metre high Eighth Avenue Place II and Eau Claire's 37-floor City Centre I. 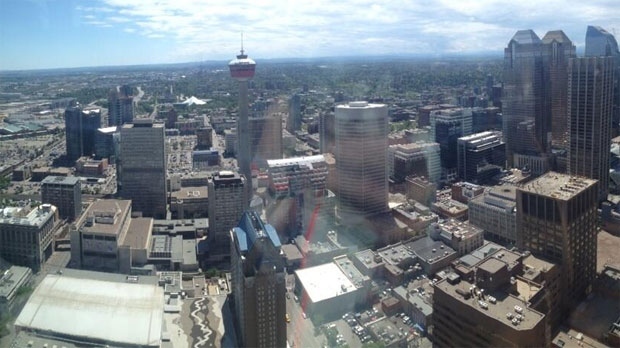 There are also a large number of proposed projects that will be changing Calgary's skyline, including another building, 225 Sixth Tower One, which is planned to surpass the Bow Building in height. 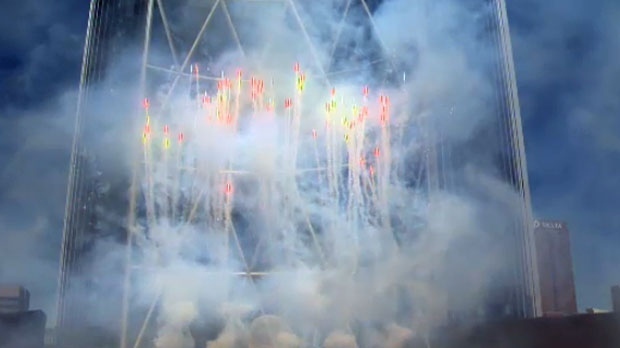 Fireworks at the base of The Bow were part of the grand opening. Looking down on the city from the 42nd floor of The Bow. Crowds gather in front of The Bow for the opening ceremony on June 4, 2013. Calgary's Bow Building will be officially opened on June 4, 2013, with a ceremony involving First Nations dancers, fireworks, and a full tour of the amenities of the skyscraper.